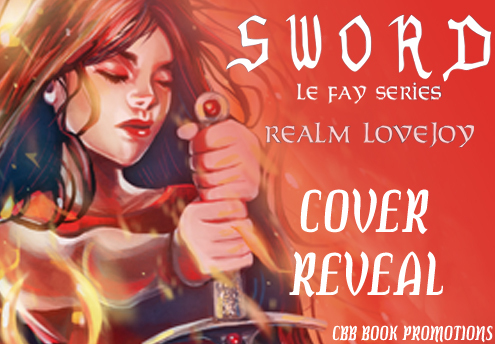 Check out the exciting cover for the new book SWORD by Realm Lovejoy! 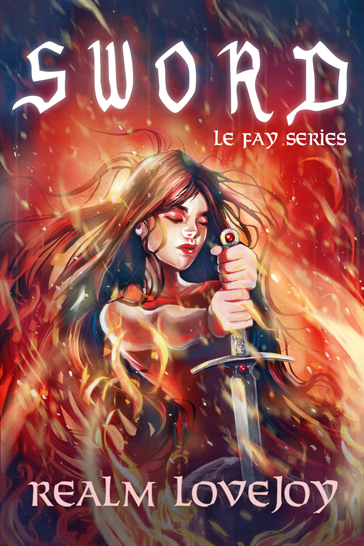 SWORD is the sequel to HENGE and is a part of the Le Fay Series. It is a young adult fantasy and releases November 11, 2015. HENGE (Le Fay Series Book 1) is on sale for only .99 cents to celebrate the cover reveal, so take advantage of the offer!Also, a limited edition Le Fay Series T-Shirt is available on Mister Dressup! The illustration is from HENGE (Le Fay Series) and features Morgan le Fay in front of Camelot. The T-shirt will be on sale for a month only so add this one to your wardrobe while it lasts! Nobody believes Morgan’s suspicions that enemies are closing in. Prince Arthur, a boy more interested in playing video games than ruling, will not listen to her, and neither will Lancelot, Camelot’s head of security. Even Morgan’s friend Merlin refuses to take action. Don’t miss out on book one, HENGE, available for only .99 cents from 8/19-8/22! Realm Lovejoy is an American writer and an artist. She grew up in both Washington State and the Japanese Alps of Nagano, Japan. Currently she lives in Seattle and works as an artist in the video game industry. CLAN is her first book. Her second book is HENGE (Le Fay Series). To be eligible for a review copy of SWORD, be sure to read HENGE and check out the review policy set by the author. Prizing is provided by the author, hosts are not responsible in any way. Thank you so much for sharing the cover! I hope you and your readers will give the series a try! You’re welcome! I look forward to getting a copy of Henge for myself.